Why The U.S. Needs To Learn More Science : 13.7: Cosmos And Culture Learning science is crucial to a society that wants to take control of its future. Judging from what is happening in the U.S. today, we seem to be working against the improvement of science education and its public understanding. Galileo Galilei (1564 - 1642): Think for yourself! Quite often, people ask me why, as a research physicist, do I bother writing for the general public. "Doesn't that take time away from research?" they wonder. The answer is, yes, it does. However, to me — and I suspect to other practicing scientists that dedicate some of their time to science popularization, like Brian Green, Lisa Randall, Stephen Hawking, Lee Smolin, Steve Pinker, Sean Carroll, Antonio Damasio, my colleagues here at 13.7, and many more — presenting the ideas of science to society is more than just fun and intellectually stimulating: it's part of our duty as scientists. And it's vitally important to our future. There are different reasons for this. One is that science is part of our culture and helps shape, in major ways, the way we think about ourselves and about the world we live in. Just think that, for Columbus, Earth was static at the center of creation, and we were the chosen ones, made from God's image. As the scientific understanding of the cosmos and of physical reality changed, so did our perceptions of who we are and where we live. Even to Einstein, only some 60 years ago, the notion that the universe has been expanding from a primeval fireball for the past 13.7 billion years, and that this expansion is accelerating, would be fanciful. Imagine what he would think of superstrings, the multiverse, and quantum teleportation. This shaping of our worldview is not restricted to abstract ideas; quite the contrary. Much of the way we understand reality and live our lives comes from technological applications of scientific discoveries, driven by engineers and designers. The recent passing of Steve Jobs is an illustration of how cutting-edge science and innovative design can literally change the way we live and communicate with each other. "The reason why mortals are so gripped by fear is that they see all sorts of things happening on Earth and in the sky with no discernible cause, and these they attribute to the will of a god. Accordingly, when we have seen that nothing can be created out of nothing, we shall then have a clearer picture of the path ahead, the problem of how things are created and occasioned without the aid of gods." Even that early, reasoned logic was seen as the antidote against irrational fears based on blind faith in superstitious beliefs. Science is a direct consequence of this deep shift of attitude: no more cowering in fear from nasty deities! As he understood the cause of things through the diligent application of reason and method, man could finally stand, alone, before creation. Under this view, science is more than a collection of explanations about the natural world: science is a means to freedom, offering people a way to control their destiny, to choose wisely in what to believe. 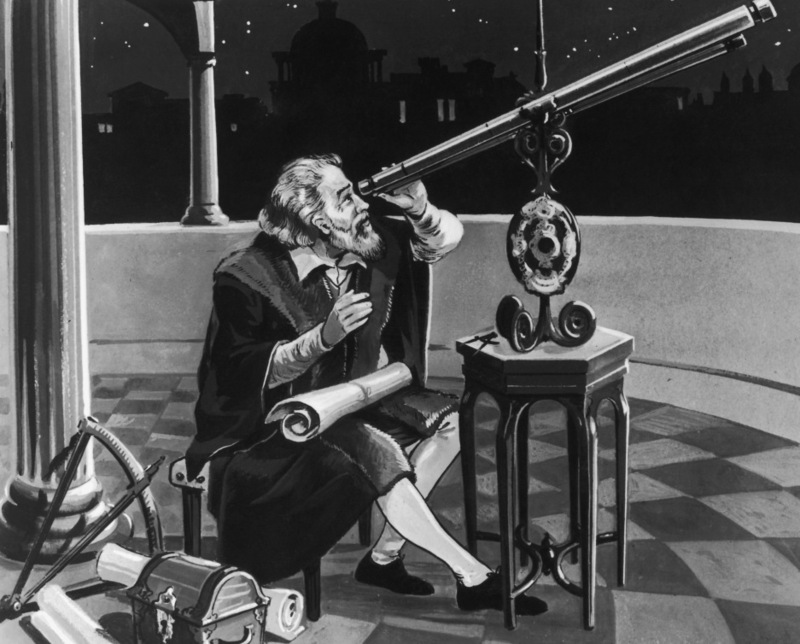 As Galileo insisted at the dawn of modern science, "Think for yourself! Don't take what people tell you at face value. To not bow blindly to dogma!" And mind you, Galileo was a religious man. Being pro-science does not necessarily makes you anti-religion. Paraphrasing Galileo, "if God gave us a mind to understand the world, He surely would be most pleased if we did so." We live in times when, wanting it or not, science plays a major role in our present and will play an even major role in our future. Take, for example, the question of energy and global warming. What choices of energy are better for the planet and future generations? Which political candidates align with what choices? How can we think critically about the results from the Intergovernmental Panel of Climate Change and the litigious nature of some of its critics, including presidential-hopeful Rick Perry's recent comments? As an antidote to Perry's and others that don't take science seriously, I suggest reading Lisa Randall's essay recently published in Time Magazine. Or take the ever-growing importance of genetics in medicine and the whole issue of stem-cell research and its applications to humans. How far should we go? Should religion play a role in the political decisions that will determine which kind of science should, or should not, be funded? If so, how will private initiative that may go against these resolutions be stopped? Historically, it's clear that once something is discovered it doesn't go away, even if censored or forbidden. Take, for example, the whole debacle of the Catholic Church censorship of Galileo and his ideas. Only a well-informed population is able to make well-informed choices about science and the environment that will shape our future. To close our eyes to science is to buy a one-way ticket back to the obscurantism of the early Middle Ages. For all the reasons above, we need more science in the media, more science in the schools, more science discussed in our communities. The United States owes much of its present prominence to the remarkable science developed here during the 20th century, and to its myriad technological spinoffs. And yet, compared to some of our current competitors, we are teaching less science to our children, or at least the teaching is less efficient. Here is an enlightening comparison between American and Chinese science education practices. If the U.S. wants to keep its prominence as a world power and technological innovator in the 21st century, we need to work fast. The first step is to make sure our politicians "get" science and understand its strategic role in our future.